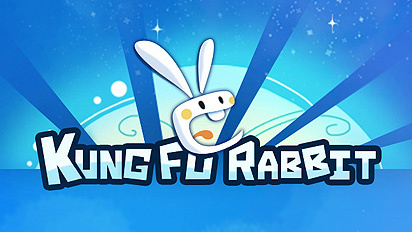 That’s right, the Kung Fu Rabbit is here! 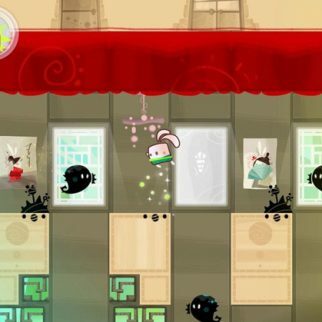 Bouncing and kicking and using its agility power all over 80 levels. When the peaceful lives of the Temple Bunnies are interrupted you are all that is left to save them. 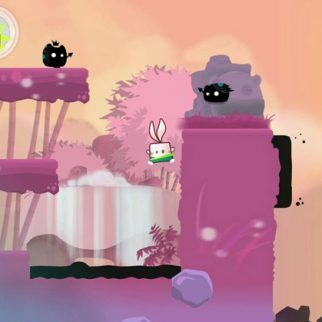 Use your logic, precision, and agility skills to rescue baby bunnies, win trophies, eat carrots and annihilate evil! 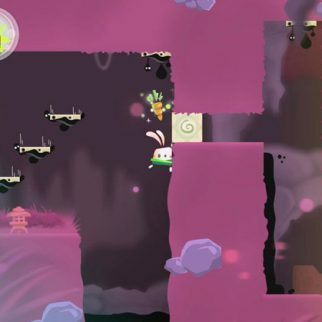 Pass through each level by jumping over roofs, sliding down walls, sneaking up on your enemies, and then ripping them to shreds! That’s some Kyle Banner style. 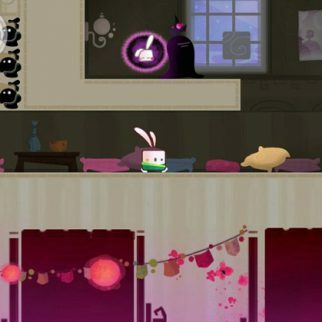 Customize your rabbit with 15 unlock able items. 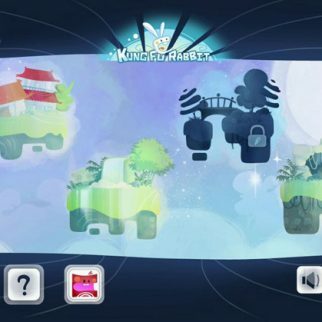 I have to say that this game looks super cute to me! 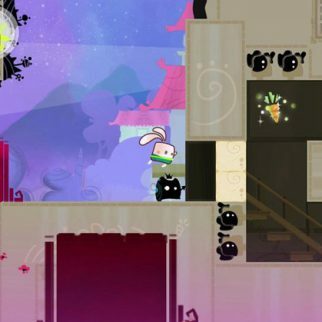 As a girl I am drawn to the pretty colors and bubbly graphics of the tiny square rabbit. Release date is today May 2nd and is available for the Wii U in the Nintendo eShop.